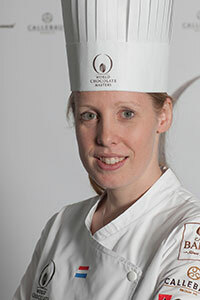 The World Chocolate Masters, the international premium competition solely dedicated to the art of chocolate, was born in 2005, after the merger of "Le Grand Prix International de la Chocolaterie" organised by Cacao Barry, and the "International Belgium Chocolate Award" organised by Callebaut. Since its creation, the World Chocolate Masters has been dedicated to specific themes: Surrealism, National Myths and Legends, Haute Couture, Quetzalcoatl. The theme for 2013 was "the Architecture of Taste". It may seem a bit awkward to compare food with architecture. But if you take a minute to think about it, it quickly makes perfect sense. O yes, creating the world’s most iconic dishes, is as intense as imagining and desiging the world’s most remarkable buildings and landmarks. And when one talks to a chef, he will soon admit that creating a dish with the perfect ‘architecture’ doens’t happen overnight. It takes a long journey of trial and error to bring taste, contrast, texture, looks in perfect balance – a balance that in rare cases turns out to become a timeless masterpiece. 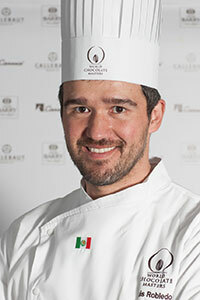 At this year's world finals, organised for the fifth time by Cacao Barry®, Callebaut® and Carma®, Davide Comaschi, winner of the Italian World Chocolate Masters preselection, was selected as the "World Chocolate Master 2013" by an international jury composed of twenty-three leading chocolate professionals. In second place was Marike Van Beurden from Netherlands and in third place Deniz Karaca from Australia. From the beginning in 1842, Cacao Barry's mission has been to provide new perspectives and to constantly set higher standards for the creative world of chocolate. With an intuitive taste for discovery, Cacao Barry is to proud to be part of World Chocolate Masters, a movement which leads the way into the future as we will thrive by working together. Like partners in a dance we balance each other in skills, taste and knowledge, generously embracing contrast and ideas, encouraging inspiration and provoking tension while trusting that we are there for each other, because we all love chocolate. With the theme of last year's competition being "The Architecture of Taste", the jury carefully evaluated the contestants' work and creativity through chocolate. 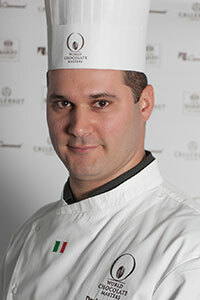 The jury was headed by Honorary President, Iginio Massari, famous Italian Relais Desserts and included Presidents Norman Love, well-known Chocolatier from USA, Angelo Musa, Meilleur Ouvrier de France 2007 and Sergio Herman, 3 stars Michelin Chef and Spécial President for this year Final. In addition to the overall winners, the jury gave special awards for "Best moulded praline", “Best dipped praline”, "Best gastronomic chocolate dessert", "Best chocolate pastry" and "Best chocolate showpiece". As a highlight this year, additional awards have been granted for "Best Creation of the Architect of the world" and "International Press Award". 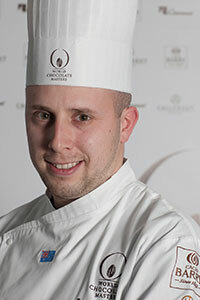 Last year and for the 2nd time, fans had the possibility to vote online for their favourite chocolate showpiece. 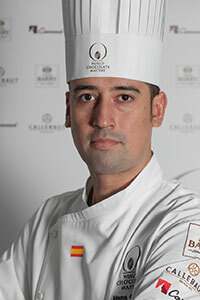 The social media award won by Canada in 2011 celebrated Luis Robledo from Mexico who gathered 22 509 votes on the world chocolate masters website.